You thought that by coming here you were going to escape all the Russia news, didn’t you? Well, define “news.” Because what we have to offer is nearly a century old–but it’s also little known. 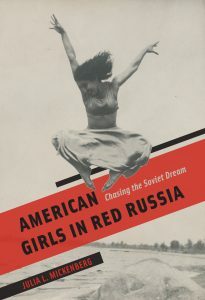 Over at Aeon, Julia Mickenberg has written a piece drawing on her book American Girls in Red Russia: Chasing the Soviet Dream about the almost unknown stories of the many American women who moved to the young Soviet Union in the early part of the twentieth century in search of a better life. Most of these were ordinary women, tempted by promises of greater freedom, more equality, and a broader spectrum of rights than they could have in the United States at the time. But a few were famous–including dancer Isadora Duncan; you can read about her Soviet years in an excerpt from the book at Lapham’s Quarterly. See? Nary a word about secret meetings, dodgy dossiers, or anything contemporary. It’s okay sometimes to live in the past–especially when that past reminds you of long-forgotten (if ultimately tragic) dreams of the future. . . . Happy 200th Birthday, Henry David Thoreau! 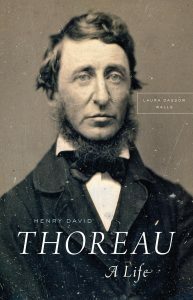 Henry David Thoreau was born on July 12, 1817. Laura Dassow Walls explains the trajectory of his life, which shaped his thinking about the world in every way: He was born on a colonial-era farm into a subsistence economy based on agriculture, on land that had sustained a stable Anglo-American community for two centuries and, before that, Native American communities for eleven thousand years. People had been shaping Thoreau’s landscape since the melting of the glaciers. By the time he died, in 1862, the Industrial Revolution had reshaped his world: the railroad transformed Concord from a local economy of small farms and artisanal industries to a suburban node on a global network of industrial farms and factories. His beloved woods had been cleared away, and the rural rivers he sailed in his youth powered cotton mills. In 1843, the railroad cut right across a corner of Walden Pond, but in 1845 Thoreau built his house there anyway, to confront the railroad as part of his reality. By the time he left Walden, at least twenty passenger and freight trains screeched past his house daily. His response was to call on his . . .